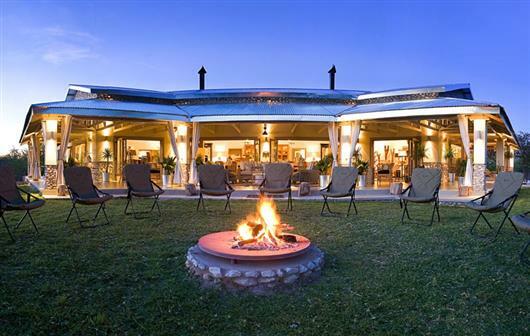 The Mushara Outpost is another addition to the Mushara Collection of accommodation, situated 10 kms from the Von Lindequist gate of Etosha National Park. The Mushara Outpost accommodates 16 guests in custom-made tent like structures of wood and canvas, which are nestled on the banks of an ancient dry river bed. Mushara Outpost is all about hospitality with warm, friendly and personalised service. 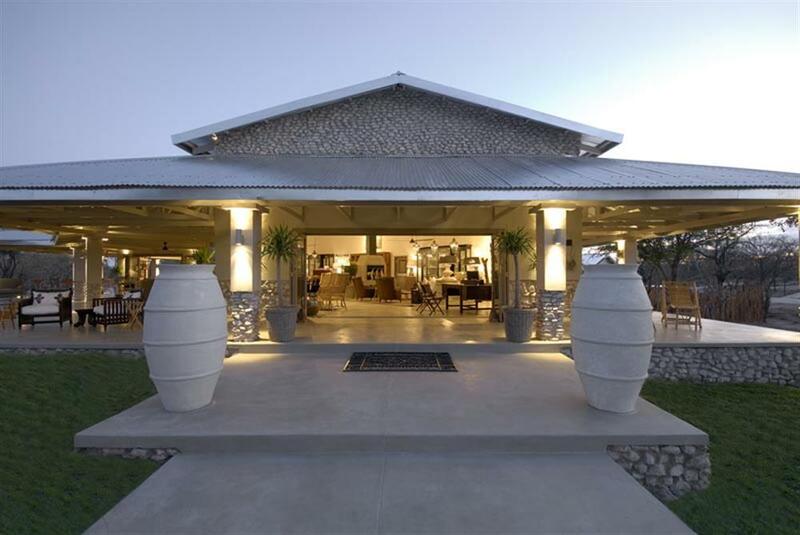 The lodge house is styled on an old farm house, with high walls, a corrugated iron roof and a large wrap around veranda. 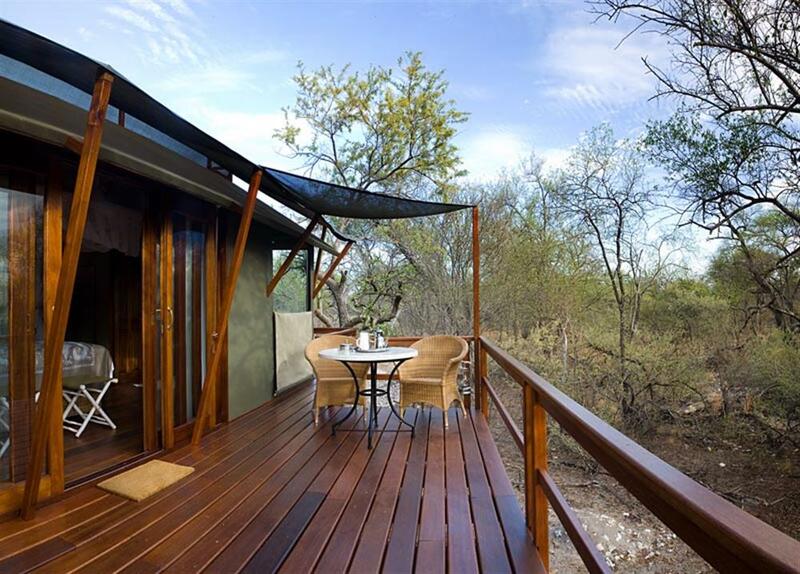 Each tent is set on a wooden deck, raised above the ground, giving a different perspective of the bush. A large glass sliding door leads into the tent, and all windows and doors are covered with a fly-screen. Floor to ceiling glass windows allow for plenty of air movement during the night. For the warm afternoons, air conditioning adds an extra level of comfort. The open plan bathroom has an enclosed toilet with ceiling and two large windows. The shower walls are glass from top to bottom. The furnishing of the tent is minimal, comfortable and has a light feel to it. A mini bar, coffee station, safe deposit box, telephone, mosquito net, hair drier and air conditioner are standard. 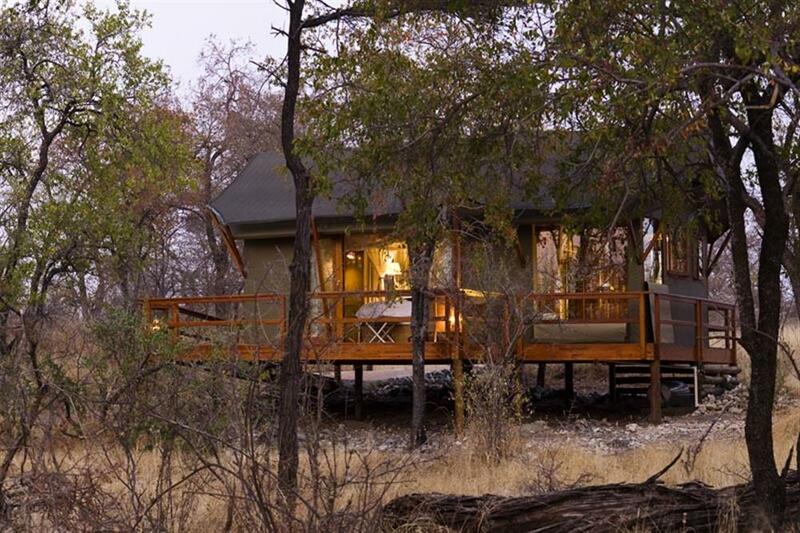 Whether you enjoy the privacy of your veranda or the comfort of your tent, the tranquility of the bush is ever present. 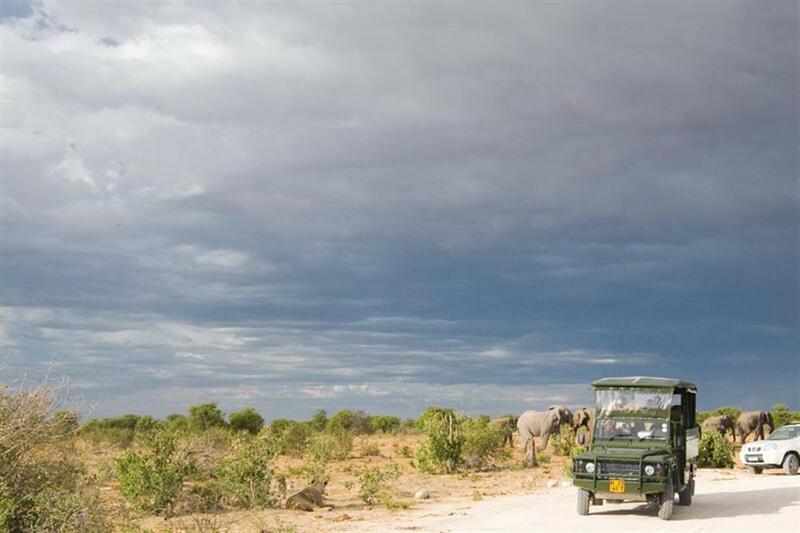 Activities on offer include game drives where guests experience a fascinating perspective of wildlife in Etosha. The lodge's vehicles have an all-weather safety design for the wet and dry season and offer a 360 degree unobstructed view. Plains game such as zebra, kudu, oryx, wildebeest, giraffe, springbok, impala and eland abound in great numbers on the grasslands, while large herds of elephants are common. 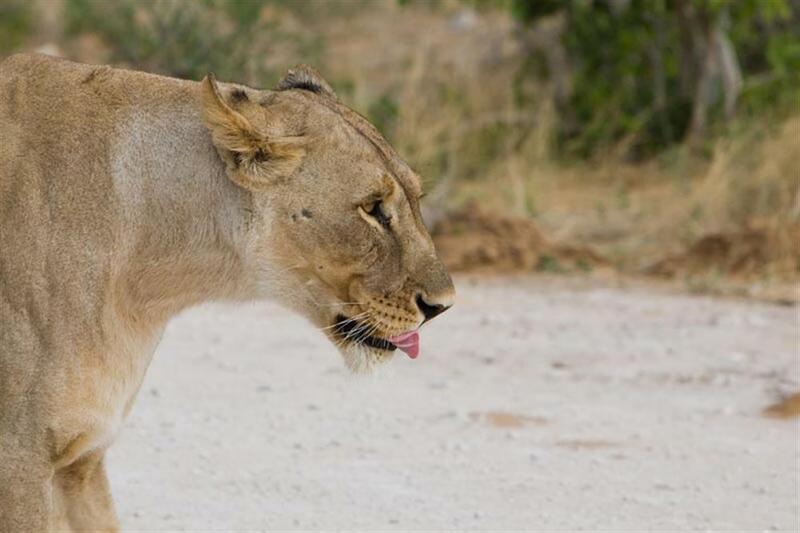 Lions dominate the predator food chain and make good use of the waterholes as hunting grounds, whilst smaller predators like the black-backed jackal trot around oblivious to humans. The demand for fresh drinking water means that there is little hierarchy at the waterholes and the diversity of species drinking at the same time can be staggering.